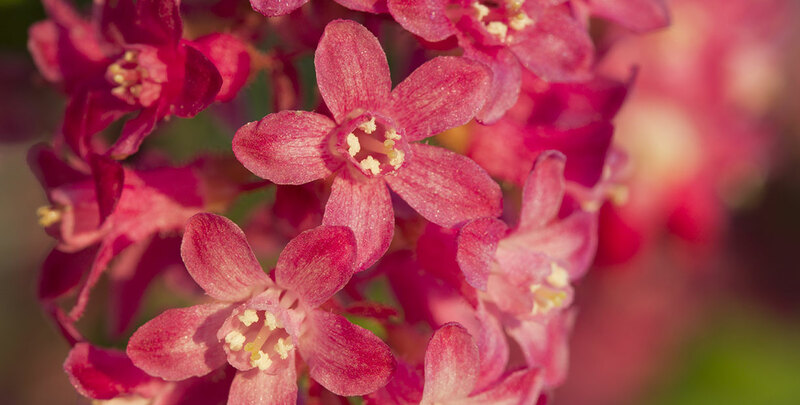 Fragrant hedges will spread a pleasant smell when their flowers appear in the spring or in the summer. Such hedges are a great way to add interest to your garden during the warm seasons, as the lovely scent and striking colours that appear during their flowering seasons will really enhance the summer atmosphere. The insects and butterflies that are attracted by that scent provide a welcome sight that will make any garden look a little livelier. The flowers of a fragrant hedge are an important source of nectar for butterflies, bumblebees and other pollinating insects. This way, a hedge for butterflies and insects will be as beneficial to you as it will be to these pollinators. They will have something to eat and you will be rewarded with a garden that looks and smells great at the same time. A single species flowering hedge will generally already be enough to attract butterflies and insects. 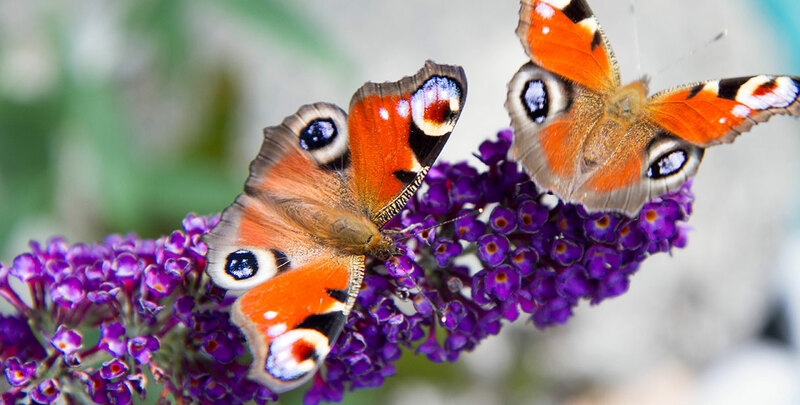 In fact, if you are looking to attract colourful butterflies to your garden, you could simply decide to plant a couple of butterfly bushes. There is no denying that these flowering hedge plants, also known by their botanical name buddleja davidii, will attract swarms of butterflies to your garden. However, a mixed flowering hedge that is made up of several different insect-friendly species can be valuable to a greater variety of insects. Additionally, if you combine several flowering hedging plants with consecutive flowering seasons, your garden will not only be attractive to pollinators for a longer amount of time, it will also enhance the appearance of your flowering hedge by having colourful flowers for a longer period. In many ways, a hedge for butterflies and insects is similar to a fragrant hedge, with the most important exception being that the focus is on its value to insects and butterflies rather than its fragrance. These two are not mutually exclusive, however, as it is often the smell of the flowers that attracts pollinating insects. With that in mind, growing a hedge for the purpose of providing nutrition to butterflies, bumblebees and other insects does not mean that you have to sacrifice any other hedging benefits, such as its appearance. 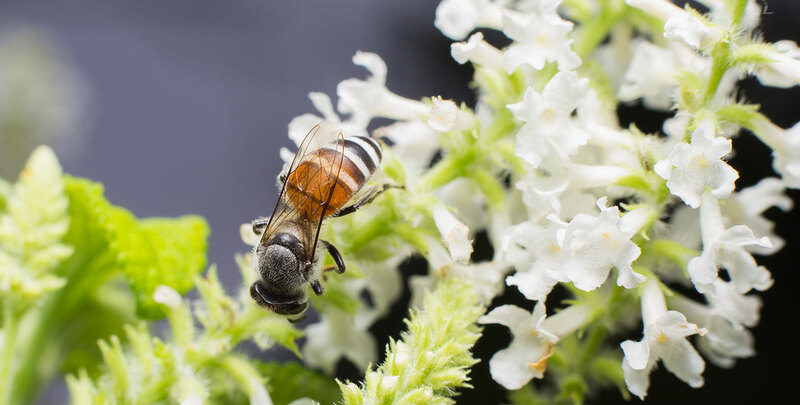 In fact, as many of the flowers that attract these pollinators are very striking, and a hedge for butterflies and insects generally has tremendous ornamental value as well, making your garden stand out during flowering season. It is perfectly fine to pick a couple of insect-friendly varieties yourself and interplant thems. 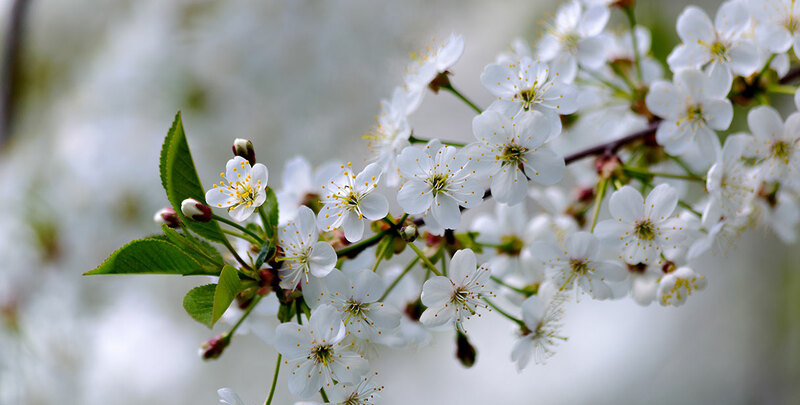 If you choose to grow such a hedge with interest to butterflies and insects, it is best to select some species that bloom at different times during the spring and summer in order to prolong the flowering season in your garden. Alternatively, you could make use of our expertise and plant the mixture that we suggest, as this will guarantee both aesthetics and function. This combination consists of the spiraea ‘Grefsheim’, which blooms with white blossoms in April and May, the butterfly bush ‘White Profusion’, which produces white flowers from July to October, the flowering currant ‘King Edward VII’, which blooms with dark pink and purple flowers in April, and the common lilac, on which purple blossoms appear in May and June. The aforementioned combination will create an exceptionally butterfly-friendly, informal hedge which will grow happily in almost any garden. However, this is far from the only mixed hedge that will be attractive to butterflies and other pollinators. In fact, the butterfly bush alone already offers a wide variety of colours, so if this mixed butterfly hedge has too many white flowers for your taste, you can always choose to replace the butterfly bush ‘White Profusion’ with one of the many butterfly bush varieties with different coloured flowers. Such a substitution will not disturb the balance of this mixed hedge, as most butterfly bush varieties have similar growth habits and flowering seasons. It is worth noting, however, that the ‘Nanho Blue’ is slightly smaller than other butterfly bush varieties. As for planting positions, most hedging plants suitable for hedges that attract butterflies and insects are fairly tolerant species. Like most flowering hedge plants, however, they will flower most profusely when planted in a sunny position. This does not mean that you cannot plant a hedge for butterflies and insects if your garden is located in a site that is partially shady, however. It only means there is a risk it will not produce quite as many flowers as when it is planted in the full sun. Most of these species are fairly easy to maintain. As a general rule, deadheading after they have finished flowering encourages flowering in the following year. For more detailed information on the soil type and maintenance requirements, please refer to the specific information pages of these hedge plants. A beautiful flowering and fragrant hedge is not only a joy to look at and smell! For many butterflies and other pollinating insects, these hedging plants are a live-giving source of nectar. Therefore, by planting a hedge for butterflies and insects, you are not only doing yourself a favour, but also the local wildlife. If you find the right combination of hedging species, you can prolong the flowering season of your hedge considerably, and if the beautiful flowers do not add enough colour to your garden, the butterflies that feed on their nectar certainly will. This way, such a hedge will guarantee a lively and vibrant garden.